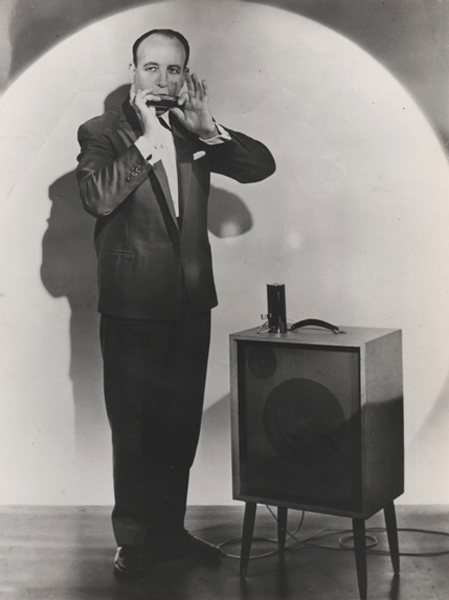 Johnny Maxim has been a professional harmonica player and entertainer for over fifty years. He has played all the major theatres in the country with all the star names of the day. Johnny came out of the navy in 1948 with the intention of getting married and getting a regular job, but somebody gave him a harmonica just before his twenty first birthday and he was hooked. 'The Dance of the Comedians'". Johnny came home from Duisburg and entered showbiz. 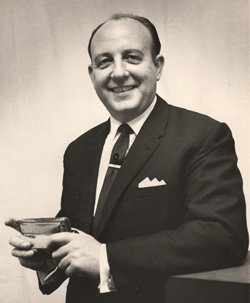 Initially he did a solo act, then formed harmonica trio 'The Chroma Trio', and finally finished with a family act 'The Musical Maxims', which consisted of his wife Kath, son John and daughter Sharon: they played harmonicas, melodicas, trumpets, trombone, saxophone, guitar, piano and vocals. In 1980 Johnny Maxim was made a member of the very prestigious showbiz fraternity 'The Grand Order Of Water Rats', whose membership never exceeds 180 at any one time. Johnny is in his 80s now, but still loves playing, and still gets to play harmonica features and saxophone with several bands.